MK Aryeh Eldad told students Monday that his “Jordan is Palestine” campaign was Israel's best policy move at this time. Opening his campaign for the Knesset as head of the Hatikvah party, MK Aryeh Eldad told students at the Ma'oz pre-military academy Monday that his “Jordan is Palestine” campaign was Israel's best policy move at this time. Recognizing the historic fact of the division of Palestine by the British into an Arab state and a territory designated for the Arabs of the Land of Israel was a positive policy move for Israel that would help frame a proper solution to the Israel-Arab dispute, he said. Earlier this month, Eldad announced that he was splitting from the National Union in light of the party's intention to run in the upcoming Knesset elections with the Bayit Yehudi (Jewish Home) party. 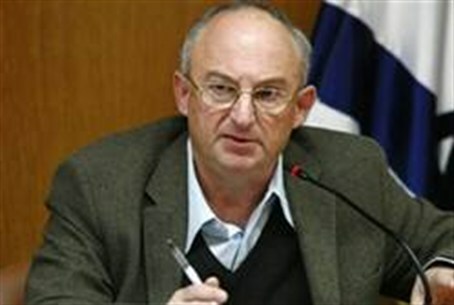 Eldad said that the unified party might garner more votes, but would not be able to act as the ideological vanguard of the right that was needed. Eldad was later joined by MK Michael Ben-Ari, who said that the public was demanding a true right wing alternative to the current government, and a unified National Union-Bayit Yehudi, which would have to take into consideration numerous points of view, could not be that alternative.